Deloitte is one of the largest consulting firms in the country, and often hires top MBA talent into Senior Consultant positions out of graduate school. New hires are able to apply their business skills and acumen toward helping clients solve complex business issues. There are opportunities to join either the Commercial or the Government & Public Services Practice of Deloitte, both of which support a hire’s progression down a well-defined career path toward a management role. Candidates should have an MBA degree with 3-5 years work experience, preferably in a large company. If you’re currently completing your MBA, Deloitte actively recruits students from select schools nationally. Please visit Deloitte’s interactive campus map to see when recruiters will visit your campus. You can also visit the Deloitte careers page to see other job openings as well. 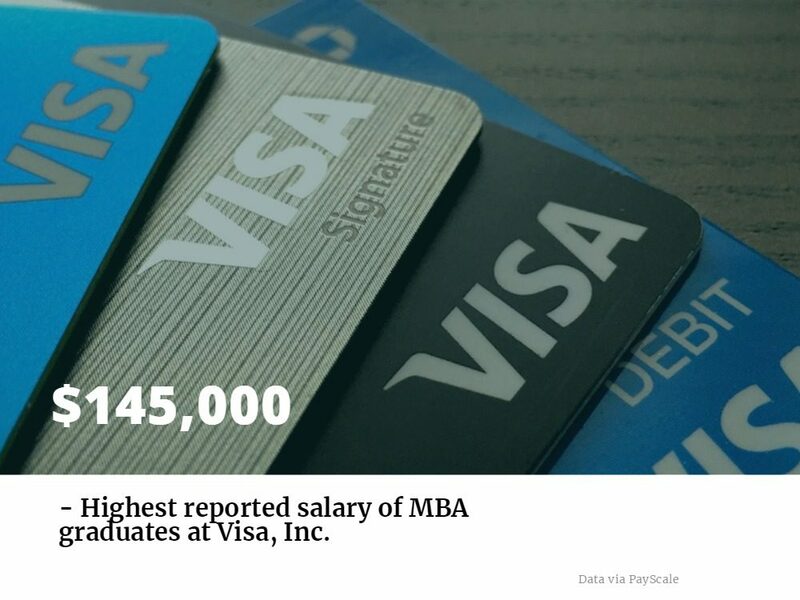 Visa is hiring new Consulting Managers at several locations across the United States, including Foster City, CA; San Francisco, CA; Palo Alto, CA; Seattle, WA; Ashburn, VA; Bellevue, WA; Austin, TX; and Highlands Ranch, CO. The position is specifically for newly graduated MBAs—candidates must graduate between August 2018—August 2019 to be eligible for the job. Consulting Managers in this position will gain invaluable global product strategy and management experience. You can find this job, and many more, at Visa’s careers page. Fidelity International is hiring MBAs to fill open Equity Research Analyst positions. According to the firm, analysts visit with companies and their executive, along with customers, competitors, suppliers, and independent experts to fully understand a firm’s chances of success or failure. Fidelity has early career opportunities at it’s Hong Kong; Singapore; Sydney, Australia; Mumbai, India; Shanghai, China; and Tokyo, Japan offices. During the 12-week program, candidates research individual stocks and present findings to a panel of senior investors. Visit the Fidelity careers page to see more job openings. BP is hiring a new MLP Commercial Manager at its Chicago office. This key role within the Business Development and Commercial team is responsible for leading asset drops between BP America and BP Midstream Partners. According to BP, the role is vital to the success of midstream growth for BP Fuels North America and plays in integral role in ensuring asset readiness for sale. This position is MBA preferred. See more jobs like this at BP’s careers page. Kaiser Permanente is hiring a Senior Manager of Digital Operations & Implementation, Portfolio Management at its Pleasanton, CA office. The new hire will be responsible for the management and leadership of several process improvement and process management activities. Process management functions include: data gathering and analysis, best practice research, process mapping, developing and recommending alternatives for improvement, developing performance metrics, and implementing improvements. This is not an entry level position—an MBA is preferred, as well as a minimum three years of management experience and eight years of process and/or project management, consulting, or related business experience. Kaiser Permanente posts this job, and many others, on its careers page.